Mumbai: Bhumi Pednekar is not here to play safe. The unconventional beauty who has earlier shared screen space with Ayushmann Khurrana in Dum Laga Ke Haisha and Shubh Mangal Savdhan will be seen collaborating with him for the third time in Bala. And the actress can’t stop gushing about her co star. 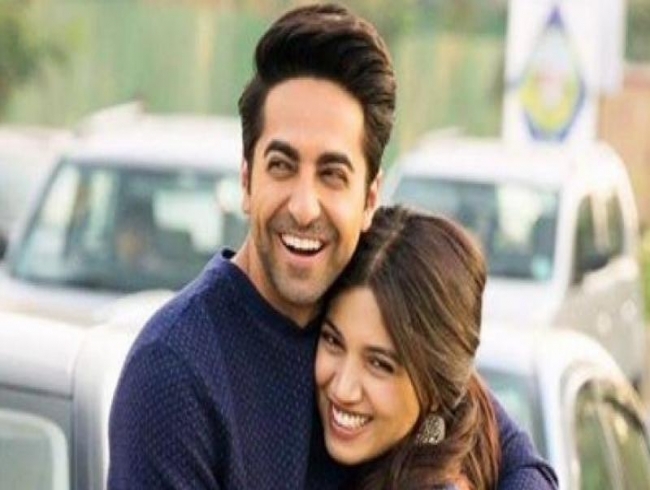 Bhumi says, “I am so excited to reunite with Ayushmann Khurrana because it’s the kind of cinema that we both believe in. So, we are going to bring a lot of fun on to the table with this project.” Bala revolves around a guy who is balding prematurely and a dusky girl who is grappling with her own complexes brought on by her complexion. “As far as Ayushmann is concerned, it’s fun to be working with him again because he makes the job of his co-actor much easier. When you are comfortable with your co-star, it reflects on screen,” she added. The film will be directed by Amar Kaushik who directed the horror-comedy Stree, starring Shraddha Kapoor. The new project is expected to roll in March 2019 and is set to release in September this year.